In addition to all the great quotes we have, including our office and inspirational sections, we also can create your company logo in vinyl to add that professional touch and wow factor to your office space! 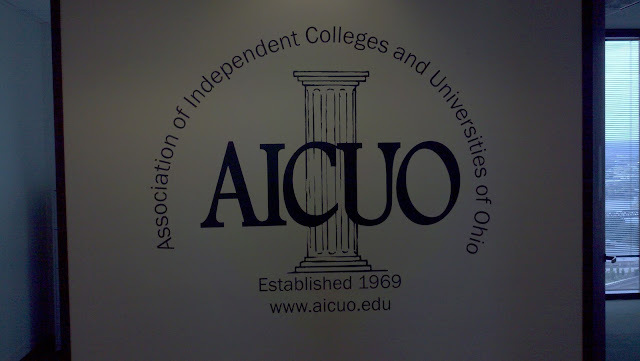 Just check out the AICUO project we did - what a lasting impact! All we need to get started is your logo and to know about what size you are thinking! Our design team can then send you an estimate and more information specific to your project. And just check out this table! 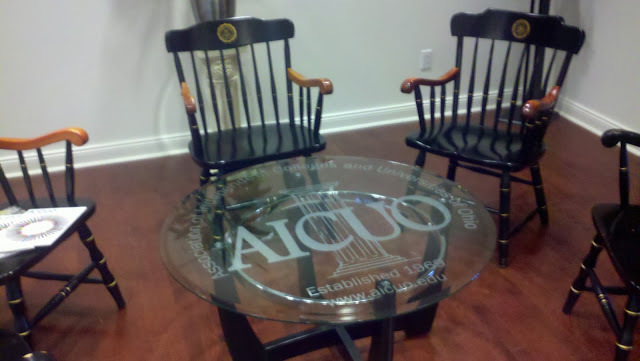 Our Etched material is perfect for glass and makes it look just like it says - like the glass has been etched. 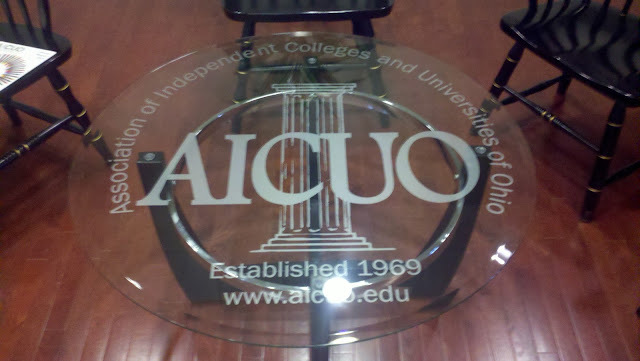 We created this in a mirror image so the vinyl was attached to the bottom. This leaves the top smooth and easy to clean! 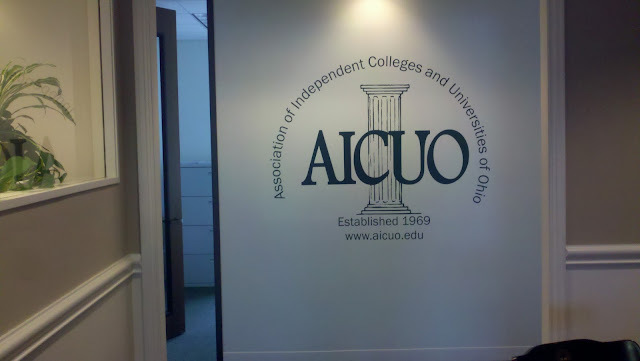 Inspired to do a little decorating around your office? Our Design Team is ready to work on your custom logo project! Email info@wallquotes.com to get an estimate.